Back in the days when I was playing in a marching band I had a music score holder clipped to the end of my clarinet. The holder plus the score added a lot of weight to the instrument which was quite annoying particular at long parades. 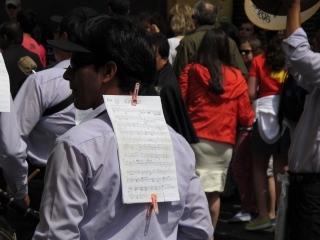 This marching band in Lima found a better way to deal with this problem. How to make wheelchairs more affordable? Screw a cheep plastic chair on a simple frame with wheels. 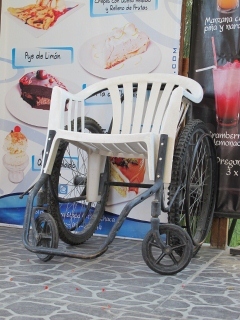 We thought this chair we found in front of a restaurant in Arequipa was unique but we had to find out that it was the work of Free Wheelchair Mission. Don’t have a cell phone and can’t find a phone booth? 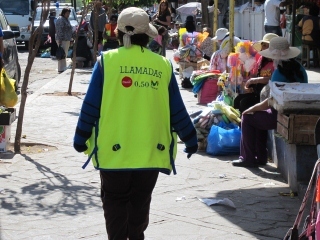 On Peruvian streets you can find these friendly people who carry around a set of cell phones you can rent by the minute. 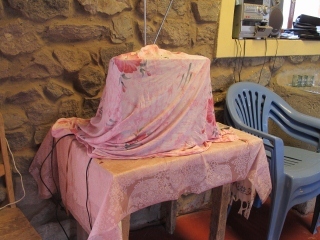 Want to protect your TV set from dust and your eyes from bad programming? 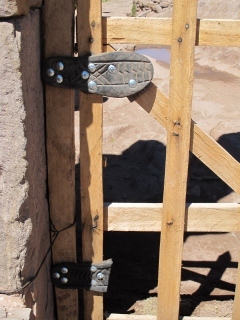 Here is an idea we found in Canyon de Colca. Tired of squeaky door hinges? Try using your sandals. 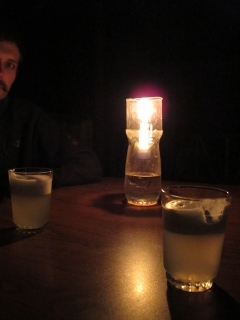 Replace the naked bulb of your budget hostel room with romantic candle light: Build yourself a candle holder from an empty plastic bottle: Cut off the top, turn it around, stick in candle. 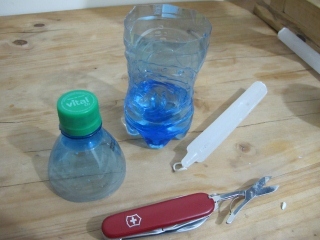 For weight, fill some water in the bottom part – it comes in handy if you put the room on fire.